The National Father’s Day Council has announced that Willie Geist, host of NBC’s Sunday TODAY with Willie Geist and co-host of MSNBC’s Morning Joe, has been named a 2018 “Father of the Year” Honoree. Geist will receive the award alongside Emanuel Chirico, PVH Corp. Chairman and CEO, and award-winning actor and Extra TV host Mario Lopez. The 77th Annual Father of the Year Awards will be presented at the Sheraton New York Times Square on Monday, June 11, 2018 at 12:00 pm. As part of its commitment to support meaningful philanthropies dealing with issues affecting mothers, fathers and children, proceeds from the event will benefit Save the Children's U.S. Programs. For tickets and sponsorship, please contact the Council office at 212-594-5977 or www.fathersdaycouncil.org. 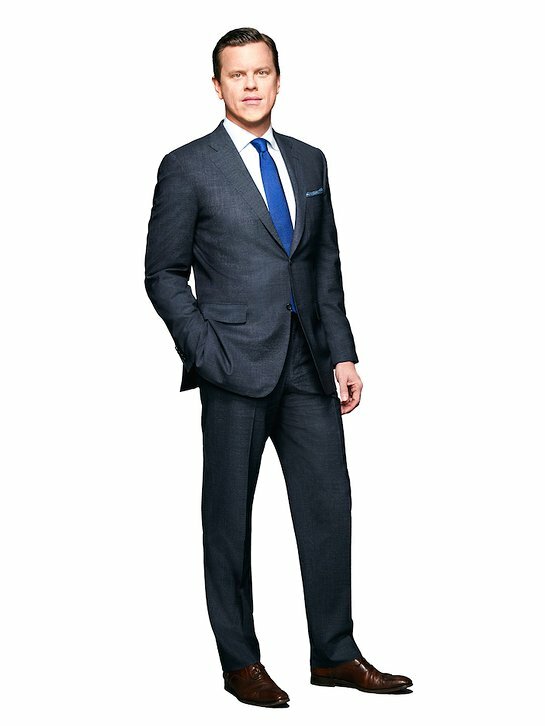 In 2007, Geist was named co-host of MSNBC’s Morning Joe with Joe Scarborough and Mika Brzezinski and in 2016 was named the host of NBC News’ Sunday TODAY with Willie Geist. Geist is also a regular contributor to TODAY and to the NBC Sports Group, where he has hosted coverage of several Olympic games. A noted family man, Geist not only encourages his children, Lucie and George, in the arts and sports, but is also close with his own father, journalist Bill Geist, with whom he wrote The New York Times bestseller Good Talk, Dad, in 2014. The National Father’s Day/Mother’s Day Council, Inc. has donated more than $30 million to date to meaningful charities nationwide.